This would be a nice swappable design as a pusher or twin engine! The pic makes it look like a twin engine Nutball. I don't think you could make it a pusher. The whole point of it being a twin engine is that the propellers push the air down under the wings so air doesn't just escape off the edges and curl up to the top. It's why it was able to have such a short wingspan. 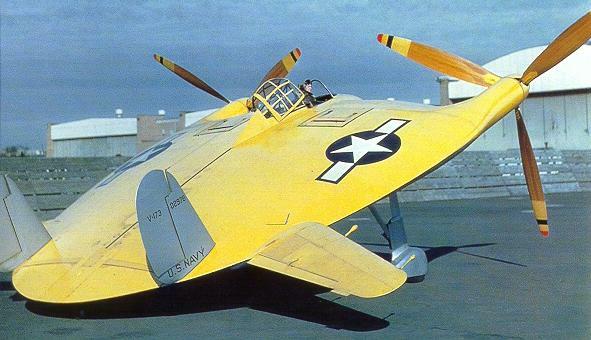 But yes, this would be an amazing RC plane. The firsts tests of this was an RC version and it looked like fun. There is a YouTube video somewhere of the designer playing with his RC version. I'm too lazy to look, especially since I think it's part of an hour long documentary. A tually someone built one on rcgroup but he used foam cutter so it is beyond my skill I have found a few on rcvroup that I could modify.